Donald Duck and Goofy are taking baby on an adventure all around the magical kingdom of Disney. Your little mouseketeer will be hyuck-hyucking in fits of giggles just like Goofy. 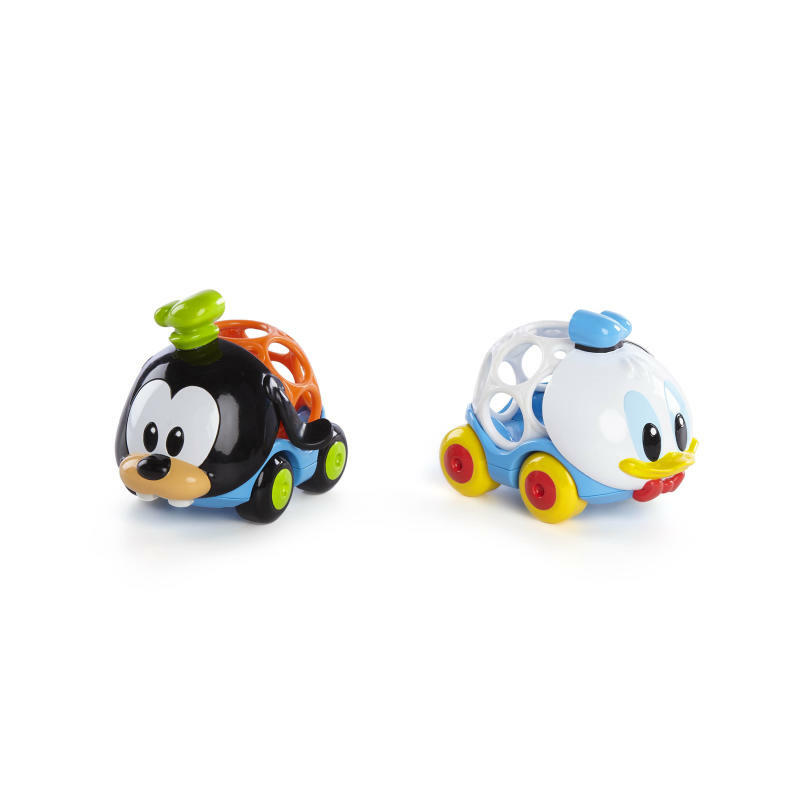 With the Baby Donald & Goofy Go Grippers, baby will roll around in perfect company. The grabbable, grippable Oball design makes it easy for baby to take these little cars almost anywhere she goes. Quacks of laughter are sure to follow when it comes to playtime with these toddler toys. Adding more magical Disney Go Gripper playsets and vehicles will have your little Goof-ball shouting YA-HOO-HOOOOEY! Oball design is flexibly firm – great for toddlers! Dimension (in) 3" x 3.75" x 3.5"